Amazon started offering its Key delivery service in October last year and is now expanding upon the program to include delivery to vehicles. Prime members are now able to have packages delivered to their 2015 or newer Chevrolet, Buick, GMC, Cadillac, and Volvo vehicles with OnStar or Volvo On Call subscriptions. When placing an order, there are now 37 cities and surrounding regions eligible for Amazon Key In-Car. As with all Prime purchases, options for Same Day, Two-Day, and Standard Shipping can be selected. To receive a delivery, a customer must first use the Amazon Key App to link their Amazon account to their vehicle's service account. After a link is established, an In-Car delivery option becomes available at checkout. Customers then must park their vehicle in a specified radius to await delivery. A 4-hour delivery window is provided along with notifications when a car is unlocked and then re-locked after a package is placed inside. Multiple layers of security are in place to ensure that only the right personnel will be able to gain one-time access to vehicles. Amazon verifies the location of a delivery driver and that the carrier has the correct package being delivered using an encrypted authentication process. Drivers are not given any keys or special codes that could be reused. Should a driver be unable to locate a vehicle at the time of delivery, there is an option in the Amazon Key App to attempt delivery at a backup location near the location of where a vehicle is parked. The secondary location could be to the front door of a home or to a workplace. If sending a package to your car is the only option, a second attempt at delivery will be made on the next business day. One of the advantages of Amazon Key In-Car is that no additional hardware is required for customers that own supported vehicles. It is a simple matter of parking your car at home or work and then waiting for the delivery to take place. 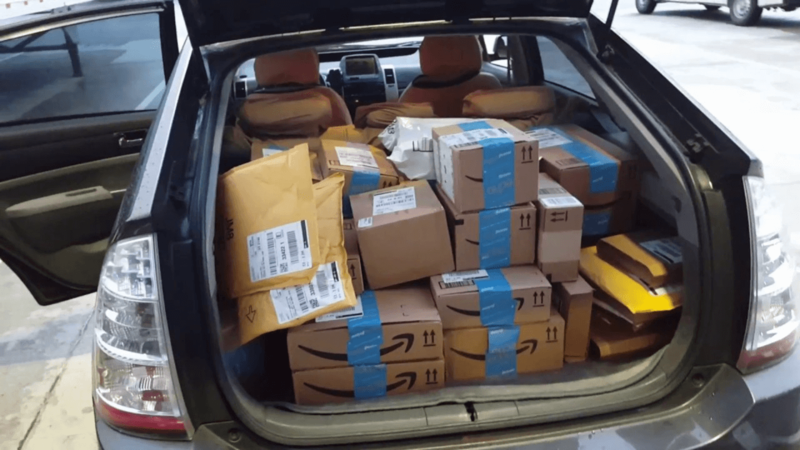 Should Amazon expand the service to cover more regions, frequent travelers may also find convenience in securely receiving packages to their vehicle anywhere they go.